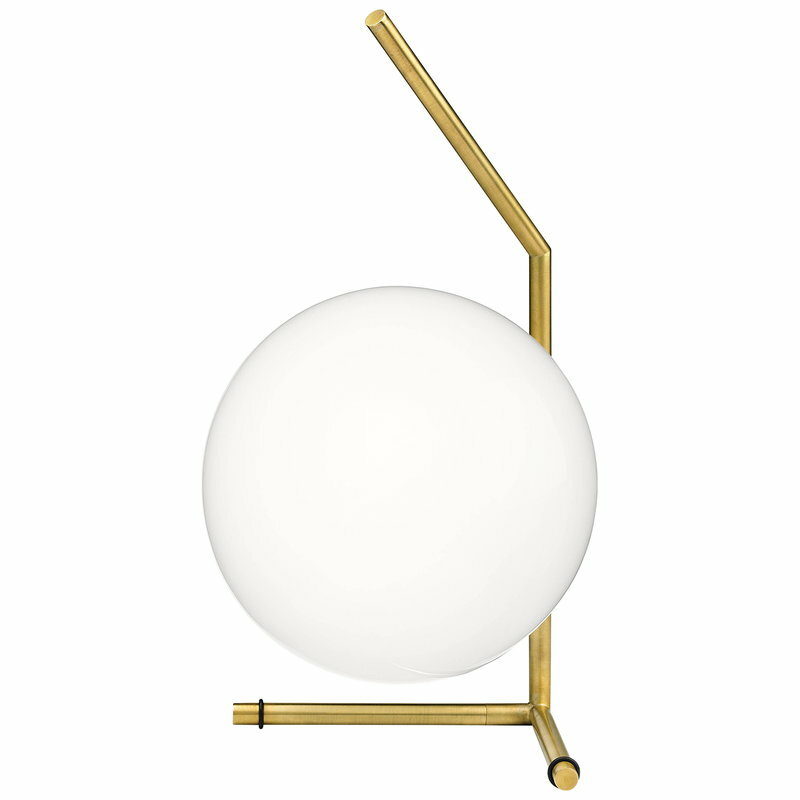 IC T1 table lamp by the Italian brand Flos is part of the IC collection designed by Michael Anastassiades in 2014. IC range is characterized by a combination of industrial simplicity and elegant symbolism. The luminaires consist of angular metal frames and round white opal glass diffusers that filter the light in a pure and soft manner. The appearance of IC lamps is perfected with a warm shine of brass. IC collection provides lamps of various sizes and styles on the floor, ceiling, wall or table – choose your favourite or create a bold setting by arranging several lamps in a group. 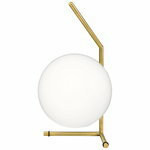 Michael Anastassiades is an English designer who explores contemporary notions of culture and aesthetics by means of product, furniture and environmental design. His objects are often minimal and functional, at the same time positioning between fine art and design in vital and unexpected ways. Anastassiades has trained as a civil engineer and has a master’s degree in industrial design from London’s Royal College of Art, and in 1994 he opened his own studio in London. Anastassiades is a winner of many notable design awards, and his work is featured in permanent collections of museums such as New York’s MoMA, London’s Victoria and Albert Museum and Orleans’ FRAC Centre.